New version available "in the next few days"
Apple's latest iOS 8.0.1 update had some unfortunate effects for some iPhone 6 and iPhone 6 Plus users, leaving them unable to make or receive calls. The company has swiftly responded, saying it is working "around the clock" on the next update, iOS 8.0.2 that will solve the problem and be available in the next few days. Meanwhile, Apple has offered a workaround for affected users involving reinstalling iOS 8 through iTunes. The surprise update, which appeared on Wednesday, also affected access to the Touch ID security feature on some handsets. It was released as a way to fix a number of bugs including publishing third-party HealthKit apps on the App Store. 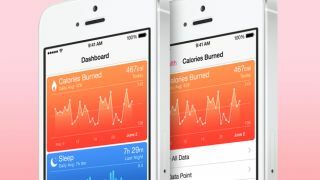 Apple has said its workaround will temporarily disable the Health app, but that this will be fixed when 9.0.2 arrives. "We apologize for the great inconvenience experienced by users, and are working around the clock to prepare iOS 8.0.2 with a fix for the issue, and will release it as soon as it is ready in the next few days," read Apple's statement. Read our full iOS 8 review here.